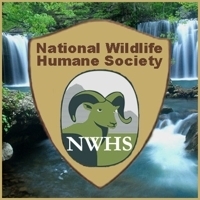 Join National Wildlife Humane Society and enjoy being a part of our wildlife conservation efforts. Your membership is valued and shows you care about wildlife. Help NWHS share a vision of a more humane world for wildlife and nature. Your information is private and secure. It will not be sold or shared with anyone! You will receive a thank-you email from NWHS. We look forward to having you as a member of NWHS. We think you will find our newsletters informative, educational and even entertaining. We will keep you updated on the efforts of NWHS and make certain you will always be a part of our goals and accomplishments. 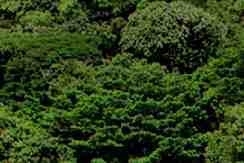 We will also pass along wildlife and nature news from other sources, that we think you will find interesting. Membership is free and our E-newsletters have No Ads. Thanks, and welcome to NWHS! Note: After signing up, make certain to set *Allow (Whitelist) for the newsletter in your email. If you don't hear from us, or get the free Saturday Newsletter, check your spam folder. Want to make sure National Wildlife Humane Society's e-Newsletters get past your filters and land in the "in" box? Otherwise our newsletters have a good chance of ending up in your spam filter because they are filled with offensive words such as wildlife, wild, offspring and breeding! 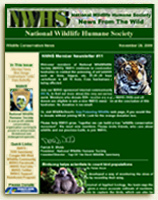 To ensure proper delivery of our newsletters, please take a moment now and add National Wildlife Humane Society e-News to your address book contacts, trusted sender list, or Whitelist. Need help? Here is a link to instructions for the most commonly used e-mail services and programs.